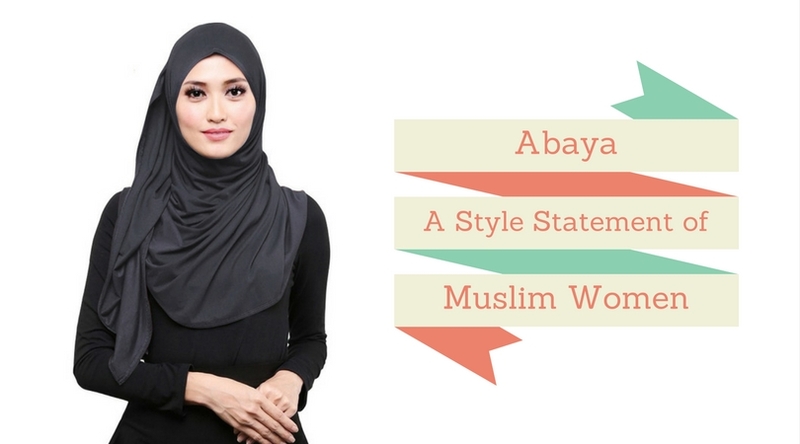 Abaya – A Style Statement of Muslim Women - GoodGuysBlog.com - New, Technology, Marketing, Health and So on. Abaya is one of the important apparel for the Muslim Women and a number of popular designers are constantly doing experiments on the latest and unique Abaya designs. There are different colours and patterns available for this heavily popular outfit. In the previous times, the major colour of this apparel was black; therefore, they were prepared in black colour. In that time, the simple black cloth was utilized without any other design. However, trend is changing slowly and with the passing times, various other cloth materials and colours have used to design various stylish Abayas. In previous times, the only design for Abaya was to design simple black buttons on its front side without any kind of other design. Nowadays, various types of folds added for enhancing the designs. Modern Abayas are the combination of beauty and elegance with which the beauty of a woman can be covered. The latest trends of Abaya 2017 trends have been started in the Arab and now it has been spread all over the globe. Various women are enthusiastic to try various Abayas. Now, Abaya is used to cover one’s body and for styling and fashion as well. The different collection of fancy, simple, and stylish abaya designs are available for purchasing. The latest, stylish and exclusive Burqa are associated with motifs and embroidery along with several other extraordinary and unique ideas. The outstanding embroidery work can be embellished on necklines and the cuffs in numerous colours and patterns. Some elegant colours including gold, silver, and copper are used in the thread works. The embroidery work associated with the Abaya designs are further enhanced by the utilization of diamonds and beads on them. In the latest design, the laces have been heavily used in a number of manners. As an example, laces are utilized on the overall borders. It is a truth that Abaya is incomplete without Scarf or Hijab. Hijab is an integral part of Abayas and should be similarly elegant as the Abayas. Various designers are now stressing on the Hijab as well. They are making different types of scarf’s that can go with Abaya. Various brooches are accessible with the Abayas with which the scarf can be tied and it looks very shiny and elegant. You can look for a huge range of fashionable and stylish Abayas for the modest girls. You can buy abaya online to get a classy look. Modern Abaya styles are able to provide the women an elegant and classy look. The latest open Abaya is the unique trend of this season. It will help to glorify your personality and self-confidence. In the auspicious month of Ramadan, the open Cardigan Abaya can be tried out; however, you should pick the Abaya with simple lace details along with the neutral tone. Some Abaya requires some jewellery for the accompaniment with the Arabic look. You can choose a Kirdan or a statement necklace. If you are searching for an appropriate Abaya, then online shopping can be the best option for you.